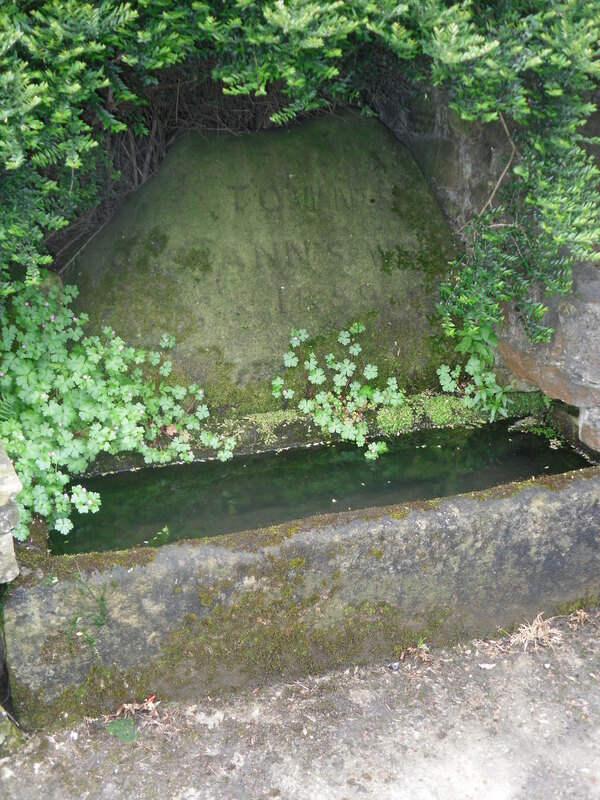 In Braga can be found a fairly unique sacred spring called the Fonte do Idolo or Fountain of the Idol. 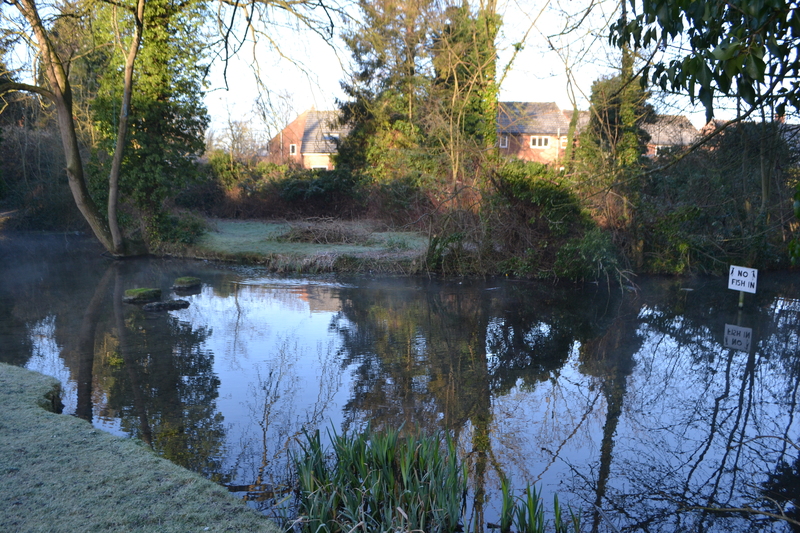 Often it is claimed that springs have a pagan origin but little evidence of it can be seen. Here is a rare example of such a site. The fountain flows from the base of a three metres wide and 1.20 metres high granite structure upon which is a carved human figure possibly a male with a beard dressed in a toga who appears to holding some undecipherable object in ‘his’ left arm possibly a cornucopia. Above appears a Latin inscription, CEL) ICVS FRONTO / ARCOBRIGENSIS / AMBIMOGIDVS / FECIT, which can be translated by “Celico Fronto, of Arcóbriga, Ambimógido fez (this monument) and to the right of the figure is a rectangular building cut into the rock with the worn figure of a human head, crowned with a triangular pediment engraved with a dove and a packet and other Latin inscriptions are engraved into the shape’s side. At the base of this niche sprouts a small spring. . It is the combination of the carvings and the Latin inscriptions which makes the site of significance indicating they date back to the era of Emperor Augustus in the 1st century. In 1895, archaeologist Jose Leite de Vasconcelos visited the garden where the spring was found and completed a study examining the inscriptions, although they had been encrusted in lime and deciphered the inscription to read re- TONGOE and hypothesized that the human figure on the left was the religious practitioner and the image within the structure the divinity. Now it is clear that the inscriptions read: CELICVS FECIT, which follows in the lower part of the niche : FRO (NTO), that is the name of the dedicator. To the left can read the name of a deity: TONGONABIAGOI.. 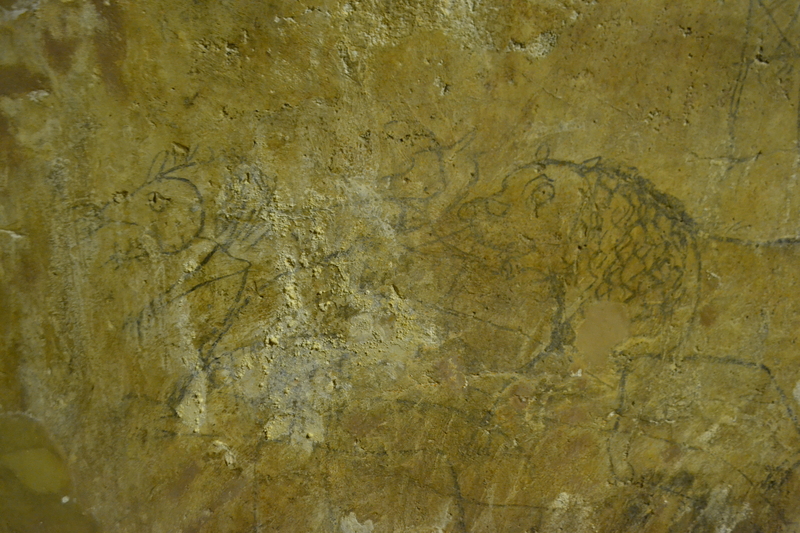 In 1980-1, archaeologist Alain Tranoy examine the image and thought that the images were reversed in what they showed. Finally, António Rodríguez Colmenero firmly established the fact that it was two deities, a plural sanctuary and that it represented Tongo Nabiago and Nabia. 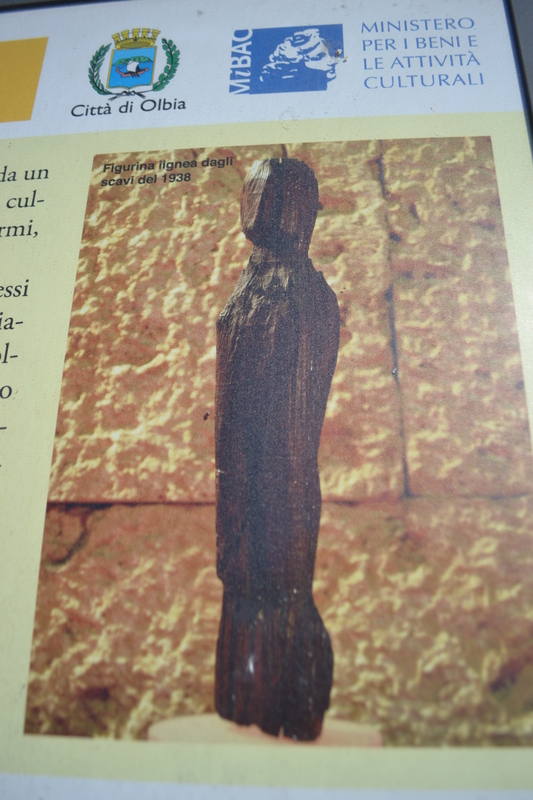 Part of the Lusitanian divinity, that is indigenous indo-european people of western Iberia who were typically adopted by the Romans once the area was colonised. .
Of Tongo Nabiago it is clear he was a local cult and interesting his name by derive from Celtic root*tenge(o)- (Old Irish tongu “I swear”) and so he may have been associated with the swearing of oaths. This is particularly interesting as the swearing of oaths is not an unusual practice associated with springs. Nabia by comparison was part of the main pantheon and was associated with sacred springs being identified with Fortuna, Diana, Juno and Victoria being associated with health, wealth and fertility. There has been thought that near the spring was a temple associated to Nabia. 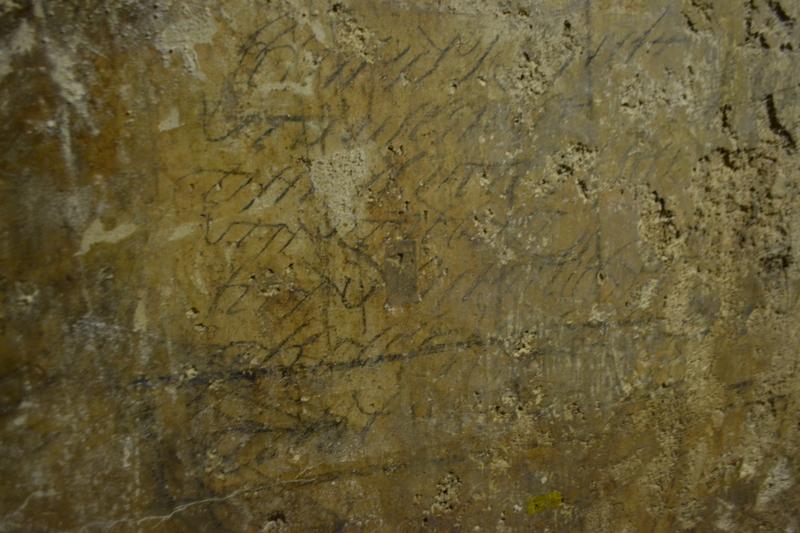 Much of the writing was obscured by encrusting lime. In 1862 King Pedro V came to examine the site and it was offered as a gift by its then owner, to be placed in a museum in the grounds of Quinta dos Falcoes, but it never happened and after going through several owners in 1936, the municipal government of Braga, acquired the land surrounding the fountain and it was then transferred this title to the State the following year, with repairs in 1952 and then in 2000-2001, a modernist building was constructed over the site with interpretation signage. 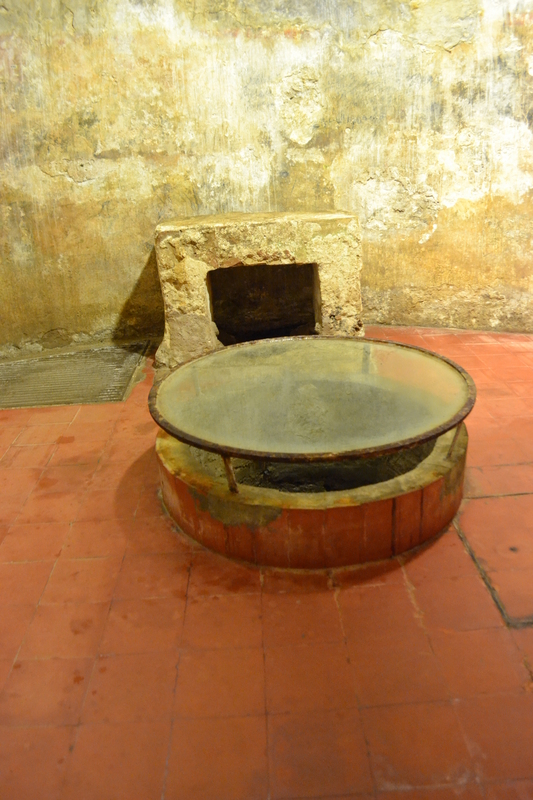 Its future being secured as perhaps the most important ancient healing spring from the pre-Roman period in Europe. Situated beneath 5 Strand Lane is one of the city’s most enigmatic and perhaps little known relic, the so-called Roman Baths. 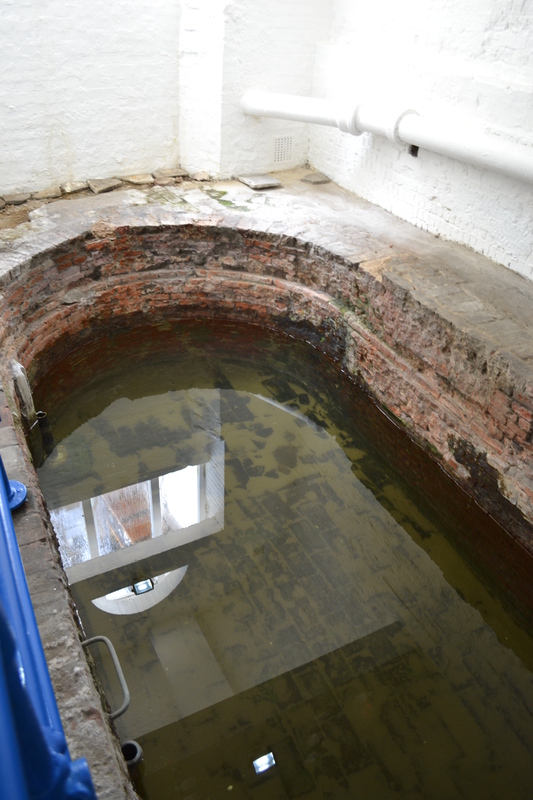 Laying four feet six inches (1.4m) below the modern street level, the bath measures about 15 foot (4.72m) by 6 feet (1.91m), with a depth of just over four feet (1.37 m) deep. Its lining is built from bricks measuring 9 inches (22.9 cm) by 3 inches (7.6 cm) and is 1.75 inches (4.4 cm) thick. Two years later he constructed a second bath which was lined with marble. This the Essex Bath survives robbed of its cladding in the basement on the Norfolk Hotel but currently due to the building being empty is inaccessible. This is clearly the Roman Bath for its dimensions are identical and Vernon’s property Surrey Street property would have abutted the site. Interestingly a record of 1724 which records ‘Old Waterhouse’ (a decayed building of no use)’ suggests it was still standing and when it was demolished and became the bath today is unclear. 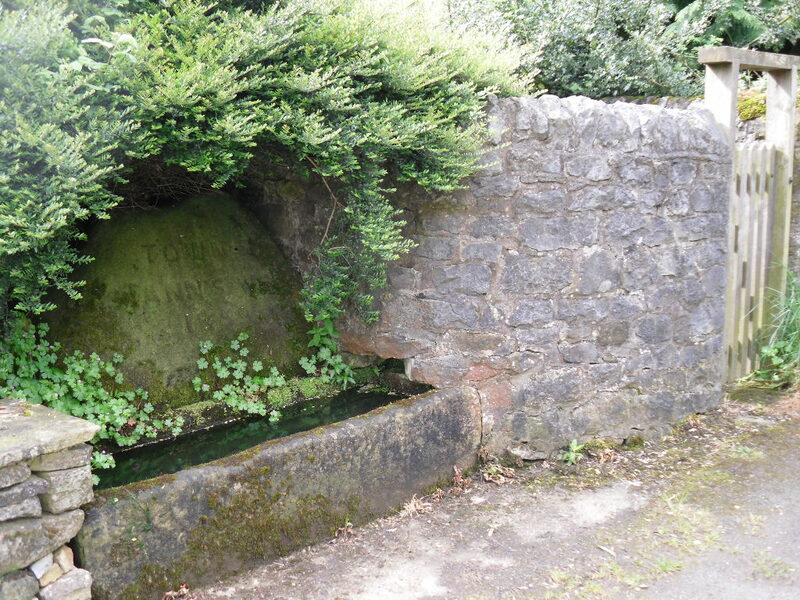 It may seem so surprising in an area where so many wells have been capped, filled in and culverted into sewers, the water supply has been relatively constant bar when in the 1940s it was blocked with rubbish or during 1970s building work. 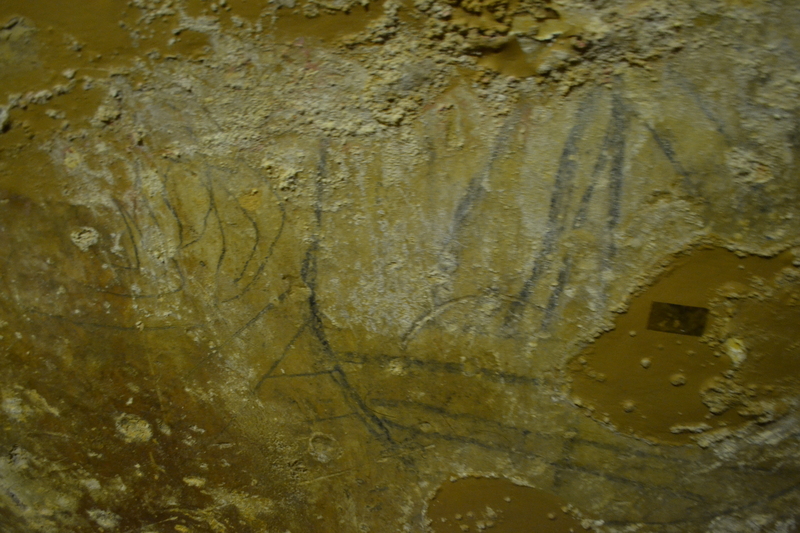 However it has been unclear how where it comes from.in the mid 1800 it was bubbling from a hole in the floor but this was apparently patched over, then meaning by the early 1920s it entered by the north-east corner but since then it has been supplied via a settling tank at its east end. 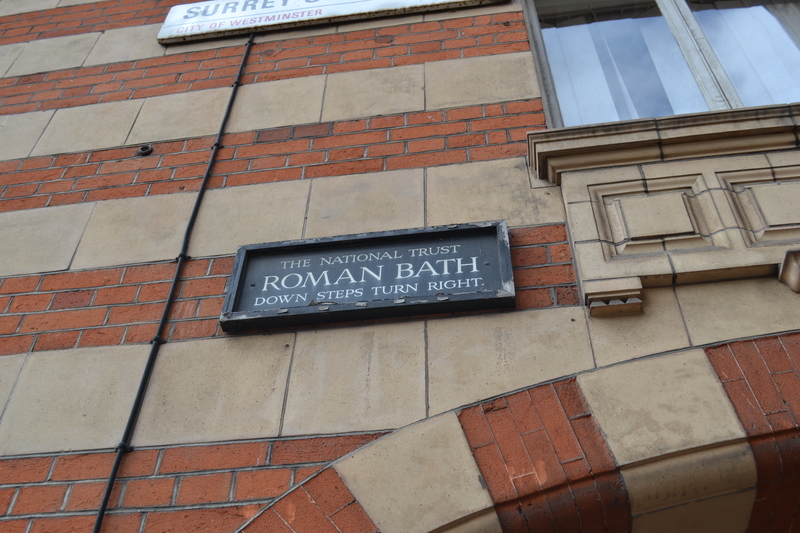 Despite not being as the 1838 advertising would say an ‘Old Roman Bath’ the bath’s survival is no more remarkable. In 1893, one of its users a New Oxford Street draper called Henry Glave bought the complex – he sold off the Essex bath and its building and focused on the older one refurbishing it by using the Essex Bath’s stone flooring, marble lining and wall tiles and creating changing-stalls and decorative sculpture. 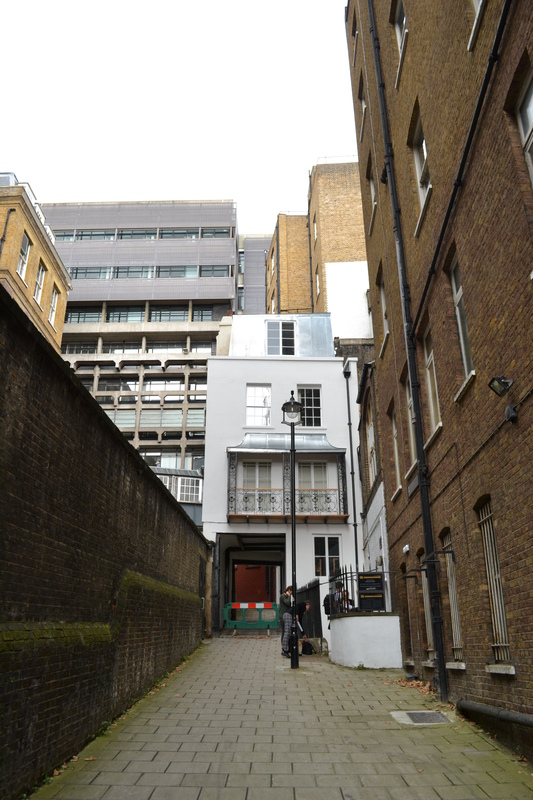 The family, the site being inherited by his daughters, ran the site until 1922 when it was offered for sale for £500. 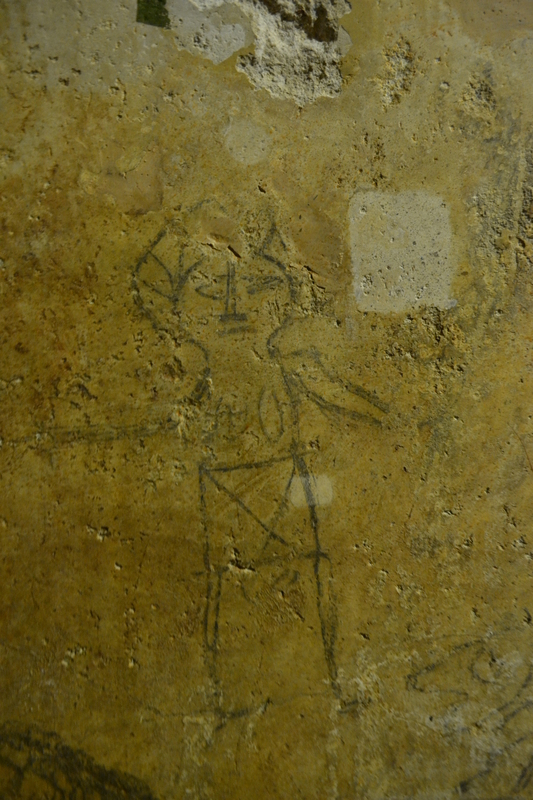 It was subsequently purchased by the Rector of St Clement Danes, the Reverend William Pennington Bickford. 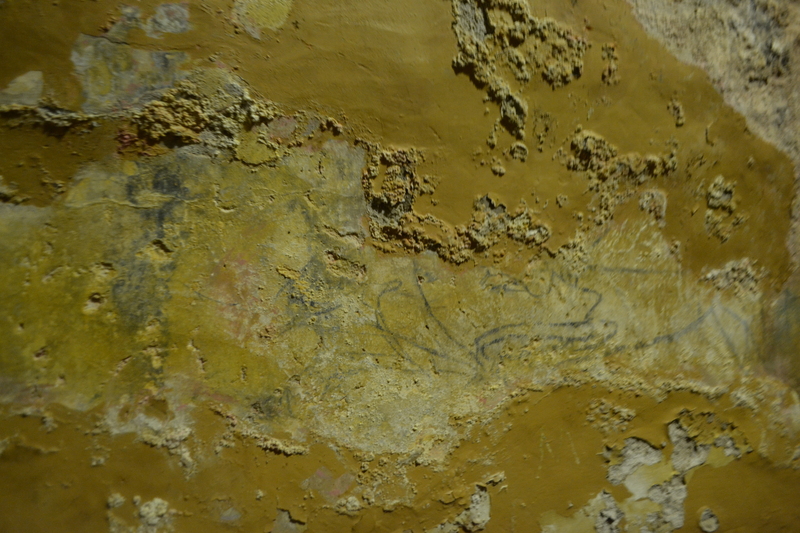 His ambition was for the bath to be restored to its Roman glory and be a major historical monument. He was supported by historian Edward Foord who wrote about its provenance. The plans never materialized and then when he died in 1941 it was bequeathed to St Clement Danes patron, Lord Exeter. Then through various complications it ended with it being taken over by the National Trust but controlled by Westminster Council who would organise the day to day maintenance. After some decorations it was opened once more to the public in June 1951. Callimachus in his 3rd century BC Aitia follows in Hesiod’s footsteps and in the work, Tiresias finds the spring and Athena bathing with it and is blinded as a result. However, as a compensation he gains the ability to prophesize. 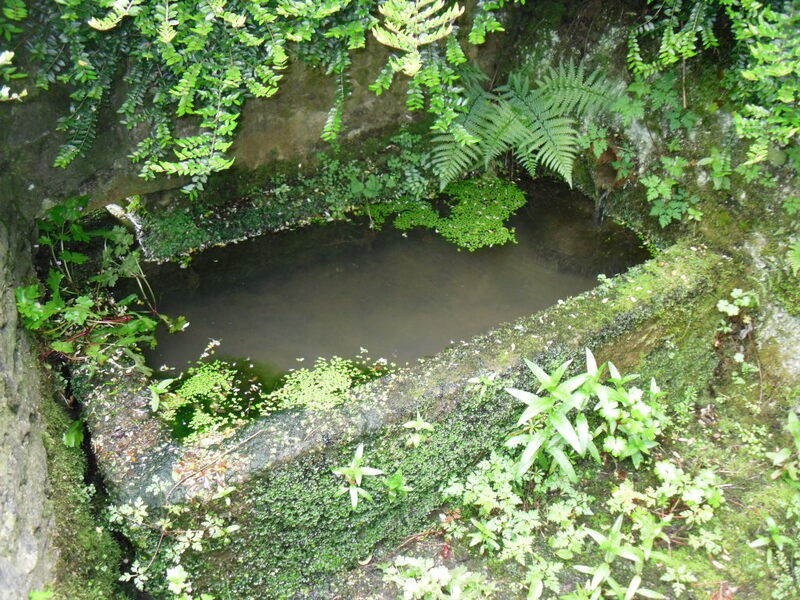 The Hippocrene spring is identified as a spring which still flows on the mountainside arising in a stone hollow. Also on the mountain was the spring where Narcissisus looked upon his own beauty but its location appears to have been lost. Interesting the site may have been a sanctuary associated to a local hero who vanquished the Persions, called Autonous according to Greek writer Herodotus which may have been a precursor to its association with Apollo . However its greatest importance was to provide preparation for those visiting the famed Delphic Oracle. 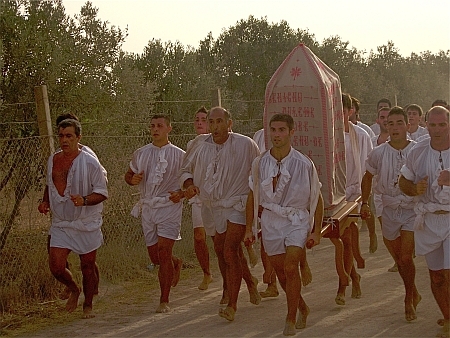 Here the priests would cleanse themselves before invoking the oracle, sprinkling it over the temple, and pilgrims according to Euripides Ion would prepare according to their background. For many just a wash of their hair would be enough, but murderers would have to completely cleansed! Pausanias Guide to Greece stated that the water had a delicious taste! 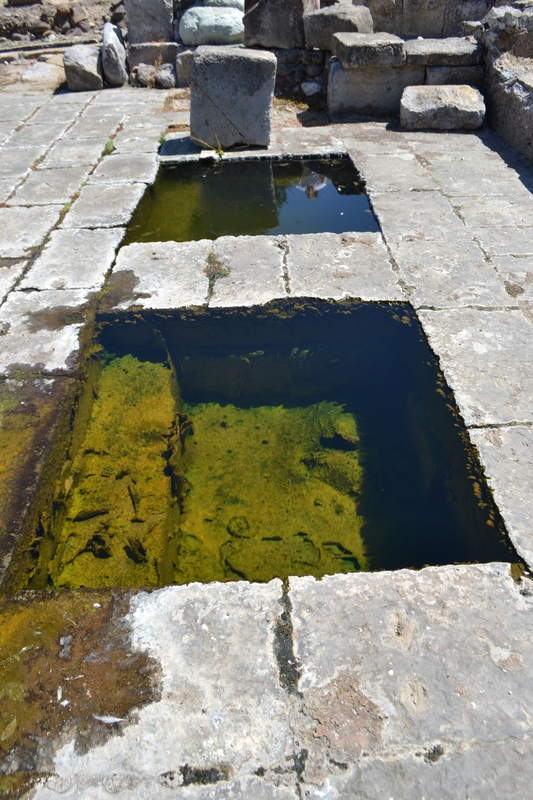 The spring was said to have arisen from two rocks called the Pheriads becoming a stream called Papaddia and joining the river Pleistos below Delphi. In the grounds of the ruined Delphi the Greek and Roman fountains fed by the springs survive. 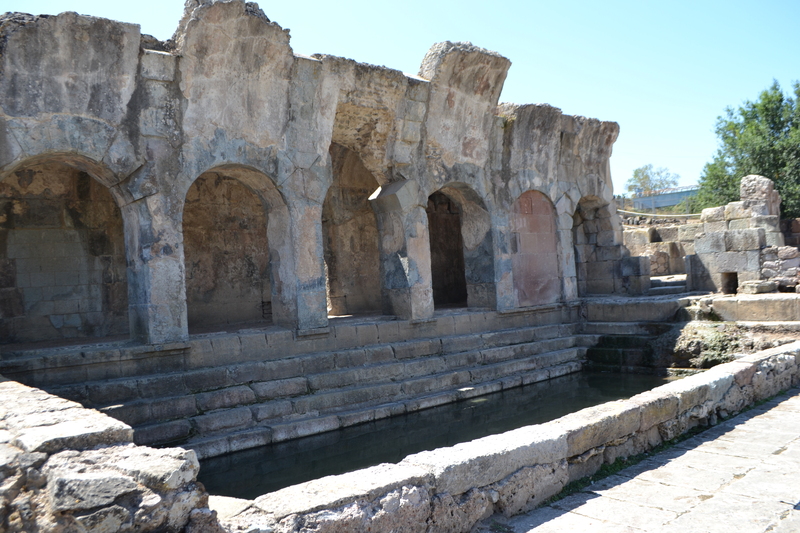 Water is delivered by s small aqueduct to the Greek fountain emptying through lion-headed spouts into a marble-line basin, nine by three metres, surrounded by benches. 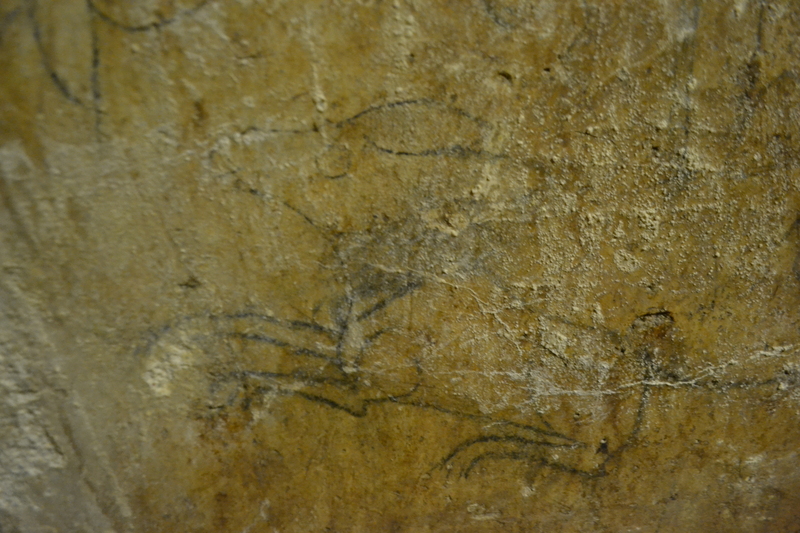 It dates from the 6th Century BCE. 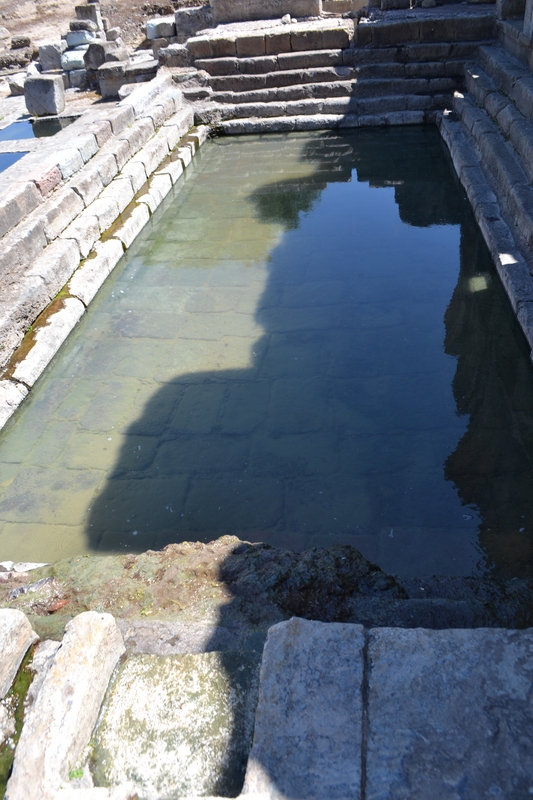 Interestingly, the Roman fountain from the 1st BC is found higher up from the original spring. It has niches carved into the rocks for the giving of votive offerings and it is interesting that it was later converted into a church of St. John the Baptist. Water reached the fountain by an aqueduct and seven bronze spouts on the fountain. Interestingly, it is claimed in the English translation of Pausanias’s Guide to Greece by Peter Levi that the water was still bottled and secretly supplied for its magical healing properties! 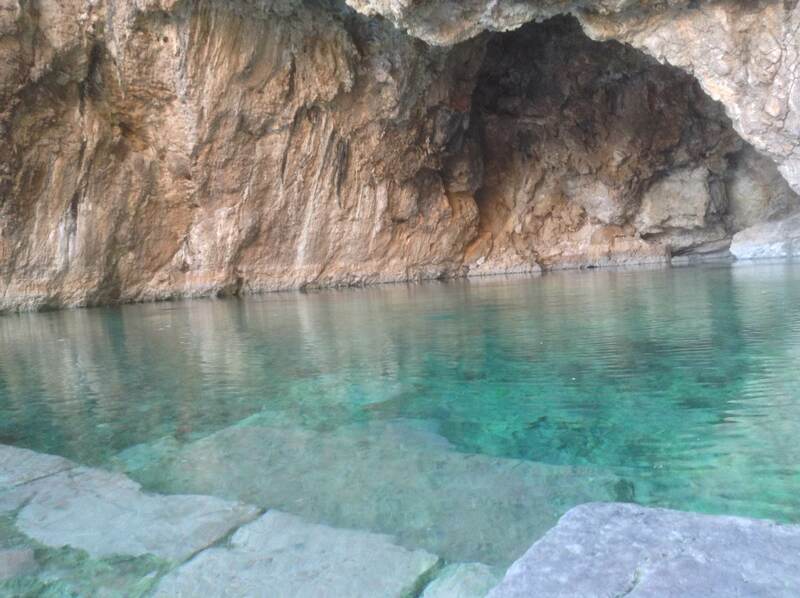 Hot springs can be found across Greece, historically one of the most famed was the Thermopylae, hot sulphur springs. These were thought to be the Hot Gates and as such the entrance to Hades. The site was first associated with the cult of Demeter but later Greek myths associate him with Heracles. Here it is said to have jumped in of wash of the poison from the Hydra which had attached to his cloak. This is why the spring became hot and sulphurous. The springs still arise but no structure exists around them. In Southwestern Greece is the Kaiafas Thermal Spring which have unlike the above been developed into a spa town. Arising in a natural cave at the foot of Mount Laphithas, historically, here the Angrides, cave dwelling nymphs were found and people would pray at the waters hoping to be relieved of leprosy, which the nymphs could cure. The waters which have a temperature around 340C are rich in sulphur compounds and are thought to be good for musculosketal diseases. 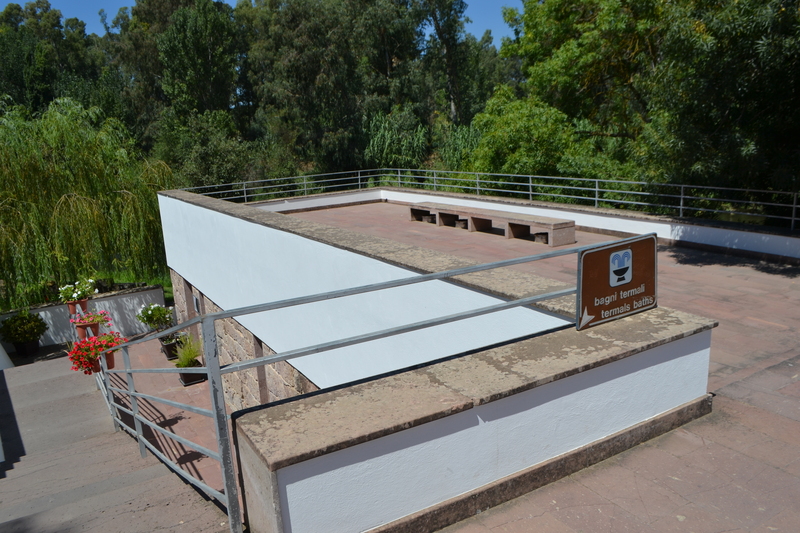 In 1907 a spa facility was established outside the mouth of the cave which still provides healing support today. 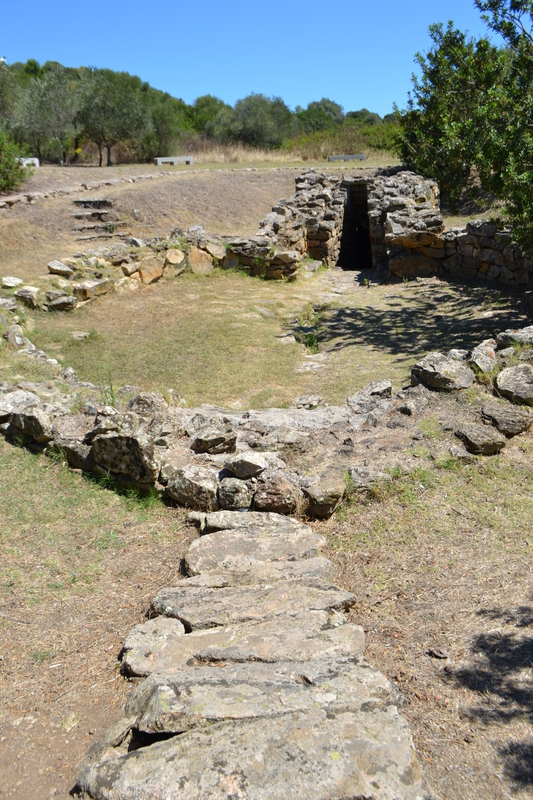 Greece is a country whose ancient wells continue to provide spiritual and physical healing into the modern age. 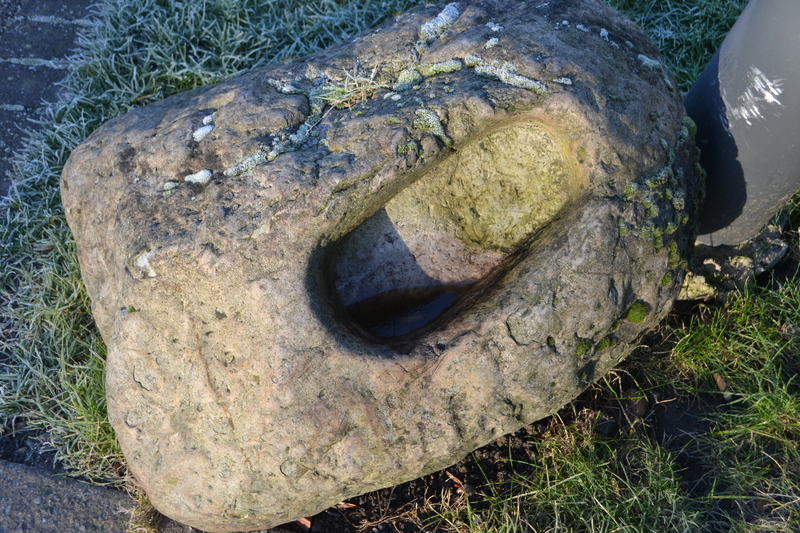 This well consists of a stone built square structure and may have re-used some materials. 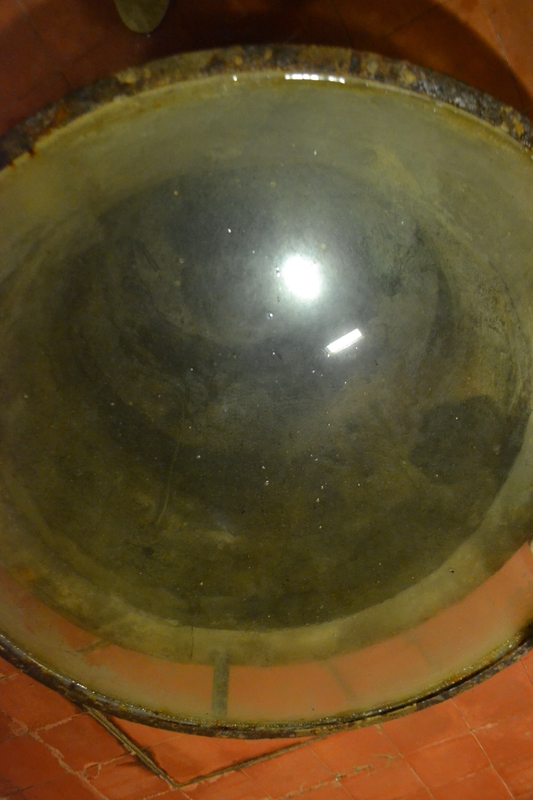 It has a stone cap with a semi-circular decorative panel with sun rays. Sadly early records of the well appear non-existent although it does appear on the 1880 Ordnance Survey Map it does not appear on earlier maps. 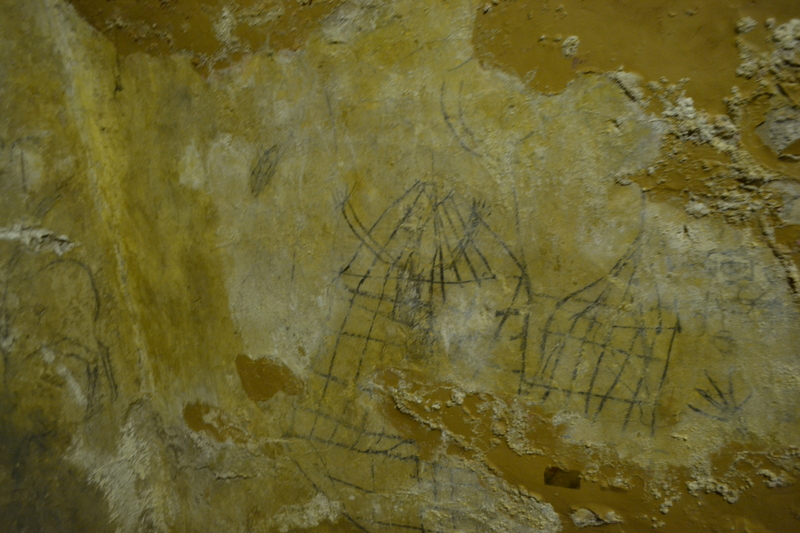 The biggest clue is the church of course, it is dedicated to the Blessed Virgin and is only 200 metres from the well. Geographically of course this is a significant place, off the old A4 Bath Road, an ancient Roman roadway, Ermin Street. 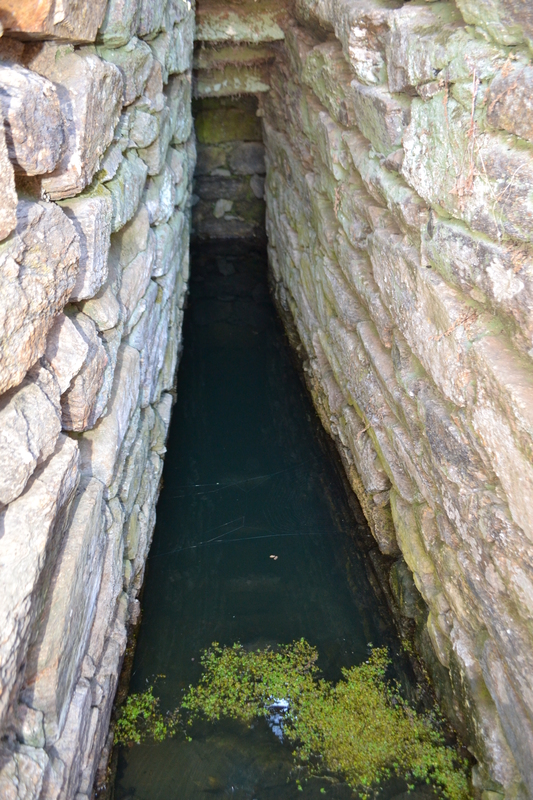 Did the Romans know of the well? Gray (1839) does indeed note ‘some remains or impressions of its once sacred character.’ Did the Saxon’s settle here because of the well? What of the echo? It’s an unusual and unique association does it relate to the strange things seen here? 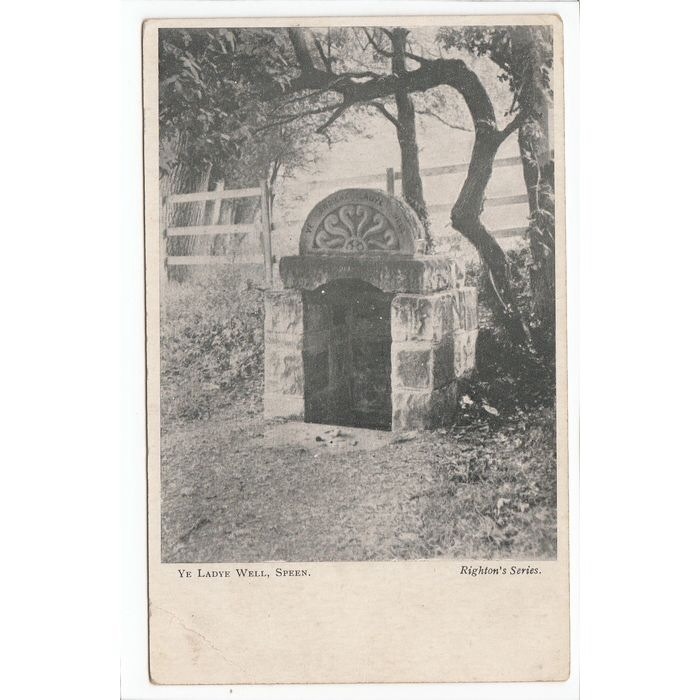 For Bayley’s notes that a 20th century resident had seen a ghostly figure standing beside the well. 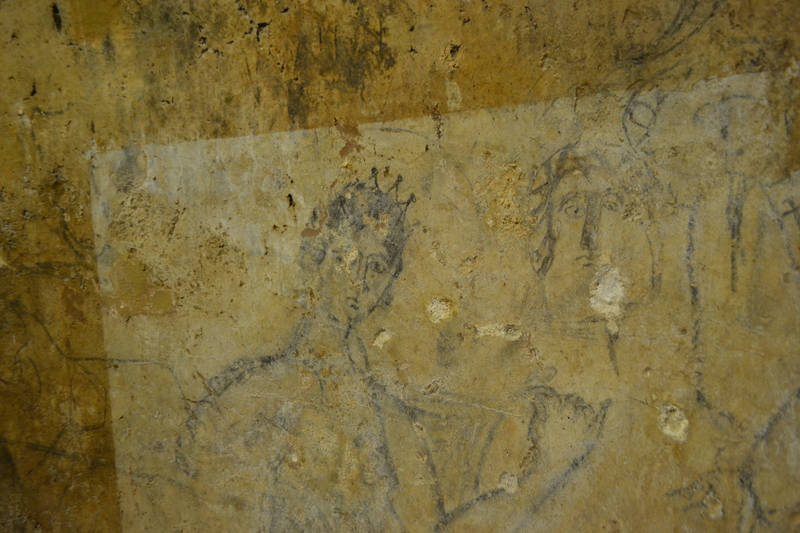 Ghosts are often used as evidence for ancient origins and may remember an ancient pagan deity. Whatever the truth, the site retains that other worldly feel. Furthermore, despite some vandalism it remains as it did in the Edwardian period – when it was a common subject for postcards – a delightful escape for the modern age. Sitting outside of Hoddesdon’s Lowewood museum is a well-worn and beaten effigy. It stares forlornly into the street now bereft of function, but once it was a unique and curious conduit which provided the town with a supply of clean water. The scheme to provide fresh spring water to the town appears to be a lesser known and smaller scale attempt to emulate Sir Hugh’s great venture of Amwell and Chadwell. The source became later known as Spring Close or Conduit Close. 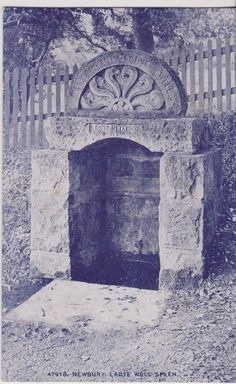 The source for the town’s water for over 100 years was a spring at Goddes Well Acre, which one presumes derives from God’s Well (TL 084 075), although, local tradition dedicated the spring to the Greek Goddess Acre suggesting that this may have been a more Romanticised site than an ancient one. 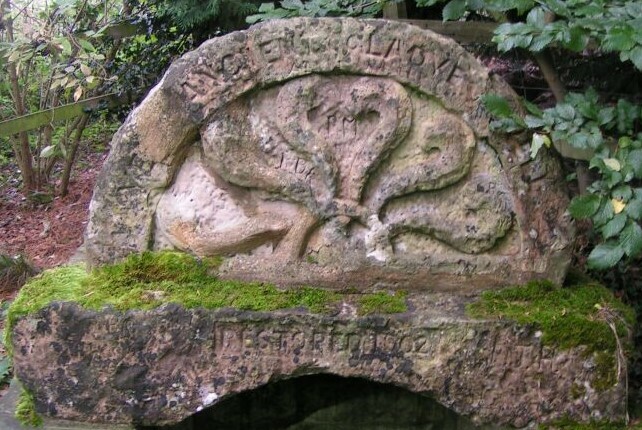 The Goddes Well was piped in 1622 to Rawdon House, the property of Sir Marmaduke Rawdon. 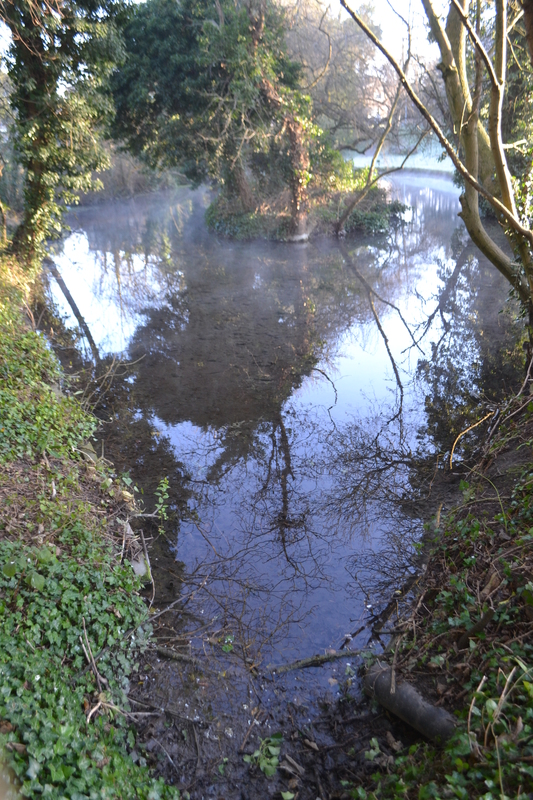 An alternative source was said to be the Linch, which is first noted as such in 1569 as ‘pond called anciently called Le Linch.’ This still exists, but as it is the other side of the New River and so separated physically. The conduit extended half a mile to the house via a lead pipe. Then in 1631, he decided that the excess water could be made available to the local people and set about debate, but it is believed that Edward Marshall, master sculptor of St. Pauls was responsible, being as he was master-mason of Rawdon House. The land relatingto the conduit house and conduit leading to Rawdon House was also conveyed to Hoddesdon Council, laying a further pipe from the house to the Market Place. Here was set up, the fine three quarters length statue of a woman carrying a pitcher. She is called The Good Samaritan, named after the Woman of Samaria who met Jesus at Jacob’s Well (Gospel of St. John IV verses 4-42). The gift was a welcome one as so far the town had to depend upon shallow wells which were easily fouled. For 196 years the statue sat in the Market Place, attracting considerable notice by various authors. Despite the gift the supply was later under dispute. 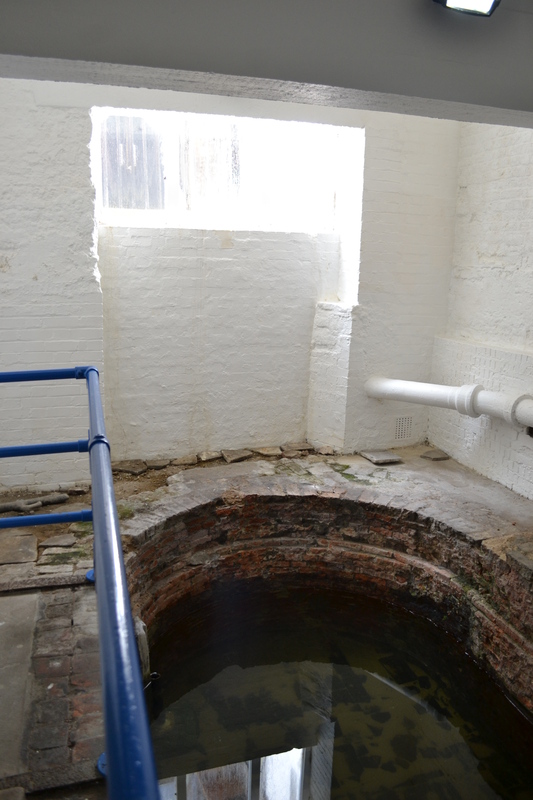 In 1725, the son of Marmaduke Rawdon, allowed so much water to supply private dwellings and businesses (in particularly breweries) that its public supply was becoming too low. As a result the problem was solved by arbitration, and the award, found in favour of the inhabitants. This notwithstanding in 1826, the flow of water was diminishing, and the position of the pond was found to be inconvenient, so it was filled in and the figure being replaced by an iron pump with a lamp on it. (It is further thought that due to the combined effects of weathering, misuse and drilling of holes for further pipes, the figure not only looked very disfigured but slightly obscene.) The figure was first removed to Turks butchers yard, here sadly it experienced considerable abuse: local boys used it as a target for stone throwing, an action which may have lead to her nose being broken off! In 1893 a Mr. C. P. Christie campaigned for the restoration and re-erection of the monument at the north end of the Market Place, and a small pamphlet was produced to garner support. However, the scheme failed to materialise when it was suggested that it was too vandalised to make it suitable as a public sculpture. The figure then ended up at the Rye Farm, the works of the Urban District Council. Yet, here it saw even more abuse being covered by dirt and decapitated! It lay here for 40 years, until 1935, when it was restored by a Mr. Giddiness in view of being placed in front of the Council Offices. Sadly, again the scheme was shelved due to the war’s intervention, and consequently it was relegated to a pedestal at the rear of these offices. Fortunately, by 1970 the scheme saw fruition and the statue was erected in the Lowewood Museum gardens, where it now pours water into a pond if it flows!. Her source may be different and the function pointless but at least the last of the female conduits survives even if the water would not make a decent cuppa!